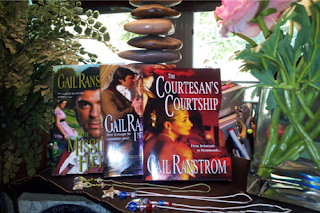 Love Saves the World welcomes Gail Ranstrom and her book, Sweet Treason! Gail has put together some awesome prizes for her tour, including a $20 Amazon Gift Card, books and Swarovski Crystal Bookmarks made by the author herself! I write ‘em, I read ‘em, I love ‘em! Spy stories are my favorite genre. I fell in love with Ian Fleming, Robert Ludlum and John le Carré when I was in my teens. Action, adventure, danger, mystery, suspense and romance. It doesn’t get any better than that, does it? But only five? And how can I compare the driving action of THE SPY WHO CAME IN FROM THE COLD, and all the James Bond series to the tension and sexual nuances in the Romance genre? Okay, I admit it. I like a slightly salacious story. So I think I’ll choose between some wonderful books from my list of about twenty-five—both historical and contemporary. I won’t do a book review, but I’ll tell you why I loved them. #5 – THE BOURNE IDENTITY which I read long before the movies. I bought it after reading the back cover blurb. And I didn’t put it down again until I was done. It left me breathless, outraged, envious and determined to get every Ludlum ever written. Talk about non-stop action! And I loved the theme of the hero’s amnesia and how instinctively he responded to danger. I fell in love with Jason Bourne. And the ending was pitch perfect. #2 - THE DANGER OF DESIRE by Elizabeth Essex is a brilliant story about a man who is charged with catching enemy spies in England, and a clever little pickpocket who gets in his way. But when he decides to use her to help him trap a particularly dangerous spy, he gets more than he bargained for. Look for blackmail, revenge, hidden identities and swoon-worthy romance. #1 - ALL THROUGH THE NIGHT by Connie Brockway (pauses to heave a deep sigh). Where do I begin? Jack and Anne—damaged and dark protagonists, secret identities, yearning for and fearing each other at the same time. Ms. Brockway breaks the all the rules, pushes boundaries and makes you love it. The hero is in the secret service of the king on a mission that, if it fails, could bring down the monarchy. His quarry is the heroine. The stakes are high, the tension is palpable, the romance is angst-y, uneasy and oh-so-hot! So there they are. I know these are unusual choices, and since I don’t tend to keep lists like this, there are, undeniably, some favorites I’m missing. What about you? What are your favorites? Thank you , Gail! This is an awesome list! And now someone has discovered both their secrets. The price of silence? Betrayal. Of their causes, their love, their futures. In the end, lives will be lost and sacrifices made. Their choice is impossible. Which will they surrender—their lives ... or their hearts? “Yes ...,” she sighed, affirming her suspicion that this man’s arms would be heaven. Emily fervently wished it were any other night. She’d have yielded him anything -- everything -- when he nibbled a greedy path back up her neck and cherished the tender flesh at the hollow of her throat before lifting his head. Gail has been a seamstress making waitress uniforms for a German Beer Garden, Inventory Clerk at the UofM, an Advertising Account Coordinator and PR writer in a crazy high pressure office, and a Commercial Property Manager in the Los Angeles area. In between, she’s partnered in an Antique business -- don’t ask her about Antique Auctions. Finally, she was tempted by a vocation where she was in control of the next crisis, and could solve it, too -- writing. She is the author of ten novels, three novellas and a brand new release, SWEET TREASON, from Entangled Publishing. Hi Tin, and thank you for having me. I'm excited to be here and hope to hear everyone's favorite spy story. That excerpt is definitely a teaser; I look forward to reading the book. I'm normally a PNR girl, but lately I've run across so e incredible historicals. I just finished Moriah Densley's Song For Sophia about a retired master spy for the British crown. Wonderful, so now I'm on the hunt for new historical suspense. My goodness, when I read about your busy life and the varied things you have done over the years, I am amazed! Congratulations on finding what appears to be your real niche in life. All the best! Sweet Treason sounds like a very exciting book. I love historical fiction, especially if it is set during the American Revolution. Thanks for sharing the great excerpt. I will definitely be adding this book to my TBR list. Hi Book Lady (what a great moniker) - Glad you like the period. The only caveat is that though it has the Revolutionary War as a backdrop, the action takes place in London and the Devon coast. I wanted to see if I could portray a bit of the British viewpoint without compromising the American position. You'll have to let me know if I succeeded. I loved Song for Sophia too! Shana Galen's Lord & Lady Spy was a fun read. I haven't read that yet, Linda. I'll have to put it on my tbr list. I think I saw a review that said it's like a Mr. & Mrs. Smith in Regency time. Sound fun. I LOVE romances especially from authors I haven't read before! This looks great! Thanks for the giveaway! You're welcome, Meghan. Hope you like Sweet Treason. I enjoy finding new authors and this book sounds awesome. I enjoy historical romances. This sounds like a good one to add to my personal library. Great to meet Gail here today. SWEET TREASON does sound fantastic. A great list of spy stories too. Sweet Treason sounds like a unique look at the American Revolutionary War from across the pond! Very exciting! 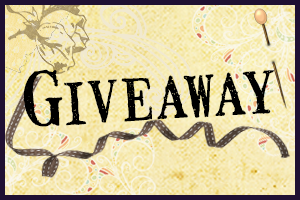 Thank you for the excerpt and offering the giveaway! Gail is a new-to-me author so I have not read her books yet. I enjoyed reading about her and her book here today, so I'm sure I'll be looking into her work now. Thanks for the giveaway. I am so excited about a novel set in --not only in the 18th century--my favorite century--but about people in the American Revolution! Like Thackeray's "The Luck of Barry Lyndon". I think your giveaway is exceedingly generous. Very hot excerpt! I love American historical novels. Thanks for sharing! I do like how this book sounds! TERRIFIC EXCERPT!!!! ALL the best, Gail!! !